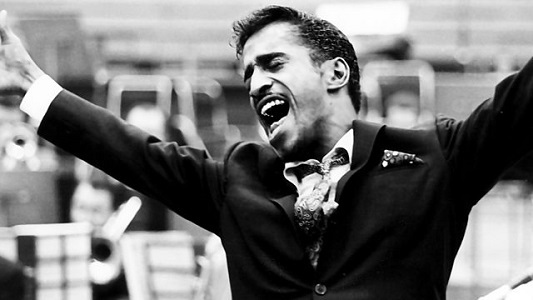 Sammy Davis Jr. was inducted into the Television Crossover Hall of Fame in February of 2001. 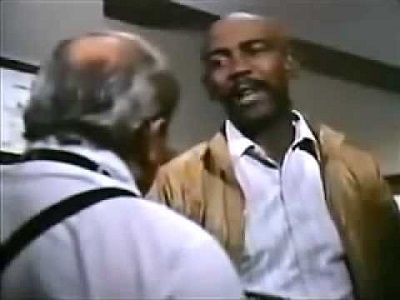 He joined as a member of the League of Themselves and he was the first to kick off the tradition of a black personality or TV character being inducted during Black History Month. Unlike the real soap operas it spoofed, 'Mary Hartman, Mary Hartman' took long summer breaks. To fill that void in the timeslot, Norman Lear's production company went in a different direction by creating a late night talk show locally broadcast from the TV station in Fernwood, Ohio, and hosted by Barth Gimble. Barth was relatively new to Fernwood, having come after his twin brother Garth, a wife abuser, had been impaled on an artificial Christmas tree. But by the next summer, Barth Gimble felt the pull of Hollywood's allure and headed West to California. There he got another late night talk show, 'America 2-Night' on the UBS network in Alto Coma, bringing along his Fernwood co-host Jerry Hubbard. 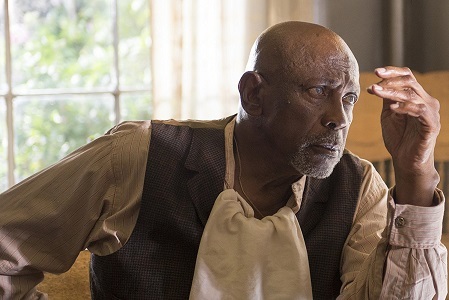 With his time in the spotlight, the public learned about how Coleman's kidney disease as a child stunted his growth and as Arnold and his older brother Willis (Todd Bridges) grew older on our screens, it became more apparent. 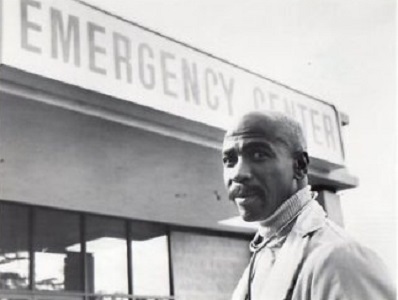 But the general public didn't know that when they first saw Little Wayne Coleman and there was no gauge by which they could eventually realize he was not going to get much taller because his two appearances on 'America 2-Night' were the only times he appeared. 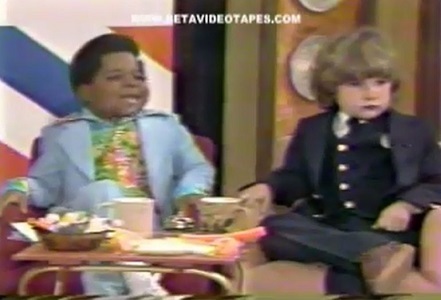 So even though Gary Coleman had kidney disease, that doesn’t mean Little Wayne Coleman did. 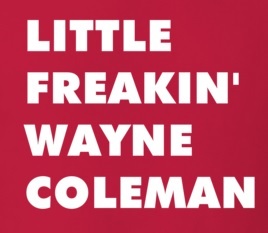 And since Life goes on even after the character is no longer seen on TV, I see no reason why we can’t envision Wayne Coleman eventually being not so little anymore. Fully grown, he may have continued pursuing a career in television: becoming a news anchor; perhaps hosting a game show; and who knows? Maybe he got back behind the desk on a late night talk show. 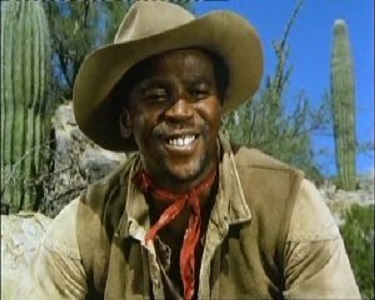 One last thought, it could well be – based on their last names and the fact that they resembled each other – that Little Wayne Coleman was related to the televersion of Gary Coleman whose fictional persona could be seen in episodes of ‘The Parkers’, ‘The Parent ‘Hood’, ‘The Hughleys’, and ‘The Jackie Thomas Show’. Jeremy Larkin, Isak Poole, Henry Abington, and Elizabeth Coates were members of "the Yankee Doodle Society", a rebel group based in Chester, Pennsylvania, in 1777. Reporting directly to General Lafayette, the team operated as spies behind British lines. Jeremy was the son of Chester's Tory Mayor, who hid his political ideas behind a façade of disinterested pacifism. Elizabeth was a liberated woman ahead of her time, and Isak was an ex-slave. The brains of the group was Henry, a big fan of Benjamin Franklin (whom he resembled), and always able to invent whatever device or scheme the group needed to finish their missions. 'The Young Rebels' was the story of a group of youthful guerrillas fighting on the Patriot side in the American Revolutionary War. They were part of the fictional "Yankee Doodle Society", based in Chester, Pennsylvania, in 1777. Their goal was to harass the British forces however they could and serve as spies for the rebels. 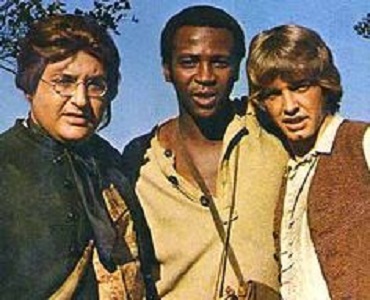 The four main characters were Jeremy (Richard Ely), son of the mayor of Chester, Isak (Louis Gossett, Jr.), a former slave, Henry (Alex Henteloff), a bright young, bespectacled man who looked a lot (by design) like a younger Benjamin Franklin, whom he greatly admired, and Elizabeth (Hilary Thompson), Jeremy's even-younger girlfriend. Any parallel between this "youth movement" and the one going on in the United States in real life at the same time that this show was aired was completely intentional. Aiding these young American rebels in their cause was a young French rebel, the Marquis de Lafayette (Philippe Forquet), who had come to their aid not just because he believed in their cause but also to learn how to export many of its principles to his native France. We have no clue what happened to Isak Poole even before the war ended, but I'm sure he met more historical televersions besides General Lafayette and Nathan Hale. After the war, I believe he started a large family and - based on telegenetics - was the common ancestor for several citizens of Toobworld mostly seen during the latter half of the 20th Century. Three of his grandsons could have been in the wild, wild West: the ill-fated bounty hunter Joe Sims, racist outlaw Buck Walter, and railroad worker Henry Hill who was experienced in carting explosives. 'Little House on the Prairie'"The Long Road Home"
But for the most part, many of Isak Poole's descendants were probably to be found in the late 20th Century and the first two decades of the 21st Century. But there was one resident of Earth Prime-Time who could not be related to Isak Poole. And that's because he was not a native resident of Toobworld. So here's to Isak Poole, the mostly forgotten, unsung hero of the American Revolution and perhaps the founder of a widespread black family dynasty in the United States. 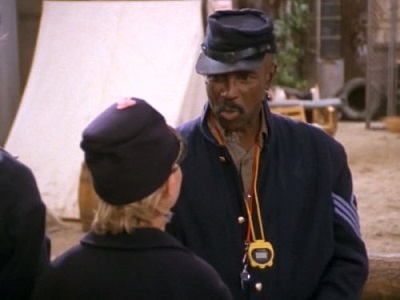 Continuing the Inner Toob salute to Black History Month, today we're looking outside the main Toobworld to the "Tele-Terra" in which 'The West Wing' took place. Admiral Percy Fitzwallace, known casually as Fitz, was the Chairman of the Joint Chiefs of Staff. 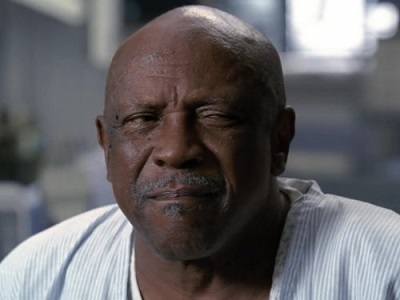 When Bartlet became President, Fitz was one of the first few people to know about the President's condition, that he has MS.
Percy Fitzwallace was a navy admiral, and the Chairman of the Joint Chiefs for most of the Bartlet Administration. Before becoming Chairman, the last thing he captained displaced 7,000 tons. Fitzwallace convinced the lame-duck president to send a military mission to the Philippines shortly after Jed Bartlet was elected. Bartlet, miffed that he might be saddled with new military obligations before taking office, quipped that he should "fire that guy" Fitzwallace. ("Memorial Day") Nevertheless, they grew to respect one another highly. Due to the President's lack of personal military experience, Fitz often felt the need to run things by Leo McGarry first. To find out more about the Admiral and the role he played in the Bartlet administration, click here. 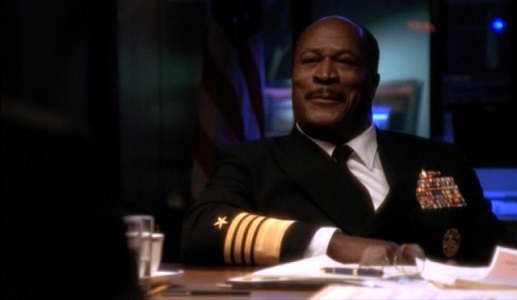 Percy Fitzwallace might exist in the main Toobworld; he might even look like John Amos. But he probably didn't follow the same career path as he did in that world. He might not even have the same name. He could have been given up for adoption at birth (or the same could hold true for the Admiral) and so any John Amos character could be the Admiral's exact counterpart. 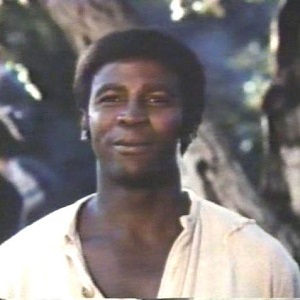 But I don't think we should consider James Evans of 'Good Times' to be the Admiral's doppelganger. Both were men of character, and both died during the course of their respective shows, but Mr. Evans has a lot of baggage because he was in so many episodes to his credit. 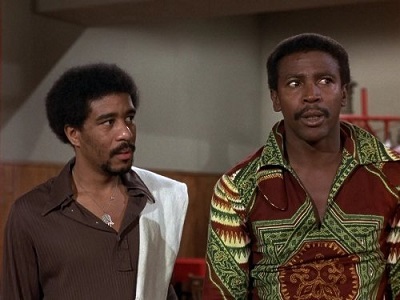 I would have to watch all the episodes of 'Good Times' to make sure there were no Zonks. 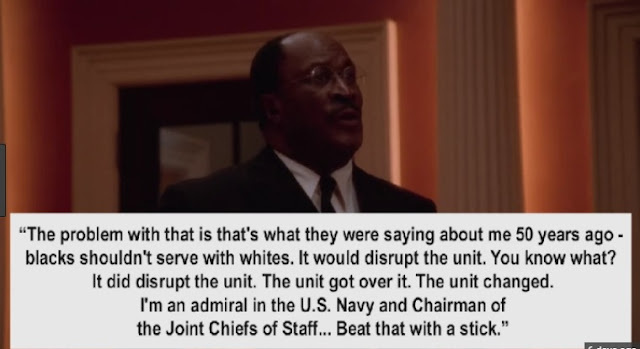 I think there is a John Amos character out there who would be worth the comparison to Admiral Percy Fitzwallace. Inner Toob salutes your memory, Sir. TWO FOR TUESDAY - THE REMAKE OF "S.W.A.T." 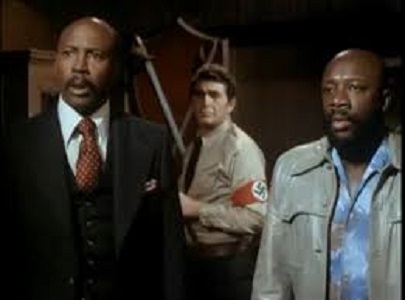 CBS has unleashed a new version of the mid-70s TV series 'S.W.A.T. ', this time starring Shemar Moore rather than Steve Forrest. I would have preferred it had been a continuation, but it's a straight remake. S.W.A.T. is an American action/crime drama television series about the adventures of a Special Weapons And Tactics (S.W.A.T.) team operating in an unidentified California city. 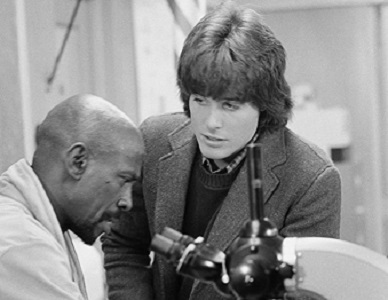 A spin-off of The Rookies, the series aired on ABC from February 1975 to April 1976. Aaron Spelling and Leonard Goldberg were executive producers. It was created by Robert Hamner and developed by Rick Husky. S.W.A.T. is an American crime drama television series, based on the 1975 television series created by Robert Hamner and developed by Rick Husky. The new series was developed by Aaron Rahsaan Thomas and Shawn Ryan, and premiered on CBS on November 2, 2017. 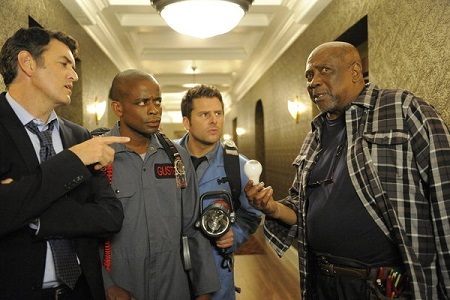 Now, had it just been Shemar Moore's character, I might have still been able to keep both shows in the main Toobworld. 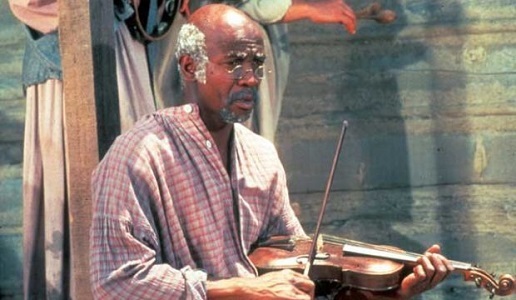 It would have meant that the Moore was playing Daniel Harrelson, Jr., son of an interracial marriage. And he had assumed the nickname once borne by his father. 1] Jim Street could have been the original’s son and given his name. 3] The main problem would be David Kay. He could have been adopted by the original and, like Hondo Harrelson, he could have also adopted his Dad’s nickname. 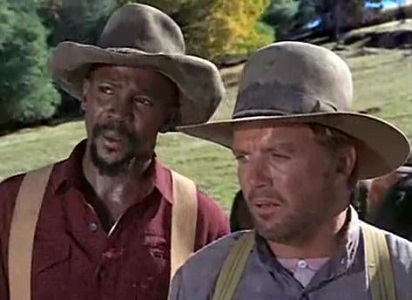 I say he could have been adopted, just so that it wasn’t a complete copy of Hondo’s situation of an interracial parentage. 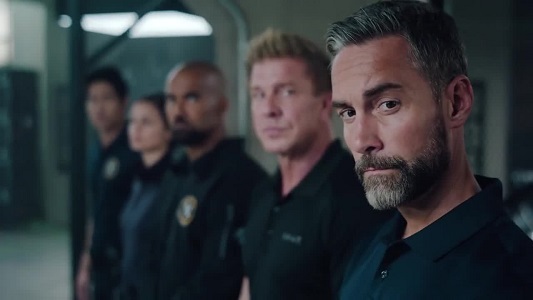 But it just doesn’t seem plausible that all four of them would have followed their fathers into the same line of work and ended up having the same positions on the S.W.A.T. team. So instead, I’m putting this new version into an alternate TV dimension. But I’m eschewing Toobworld2, the Land O’ Remakes, and placing it instead into Black Toobworld, along with other shows - like the remakes of ‘Kojak’, ‘Ironside’, ‘Barefoot In The Park’ and the movie “The Honeymooners”. 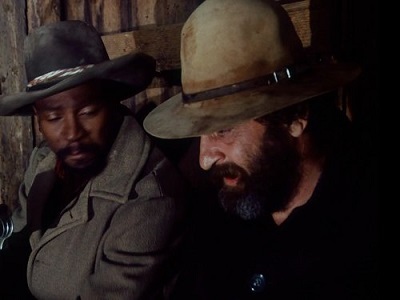 This is because of the fact that in this version, Hondo Harrelson was black instead of the white character from the original. 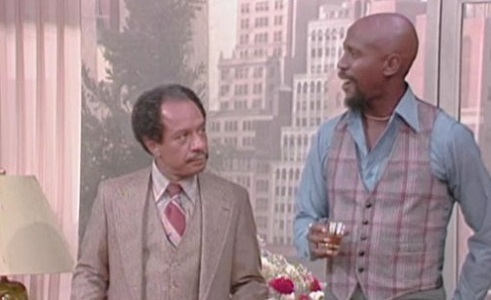 There’s a racial change with the character of Deacon Kay as well, but I guess that’s just the Universe balancing things out….. Throughout February we'll be sharing the biographies of African-American TV characters as part of our salute to Black History Month. 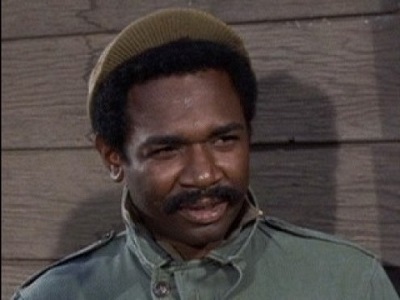 Staff Sergeant James "Kinch" Kinchloe is one of the main secondary fictional characters who appeared in the 1960s American sitcom, Hogan's Heroes. 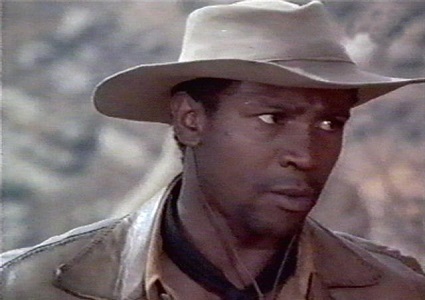 He was played by Ivan Dixon. Staff Sergeant James Kinchloe was born in Detroit, Michigan on July 1, 1912 (speculation). Kinchloe goes to school in Detroit, eventually graduating from high school. While going to school, he works as a plumber's helper for one summer, as well as learning how to play the upright bass and throwing the football. Before the United Statesentered World War II, he worked for the telephone company. He has also participated in several Golden Gloves boxing tournaments as a boxer. For more about his service and his imprisonment in a prisoner of war camp, click here. I've written about Kinch in the past and you can find that blog post here. Ida was born in London to a show business family. In 1933, her mother brought Ida with her to an audition and Ida got the part her mother wanted. The picture was "Her First Affaire" (1932). Ida, a bleached blonde, came to Hollywood in 1934 and played small and insignificant parts. "Peter Ibbetson" (1935) was one of her few noteworthy movies and it was not until "The Light That Failed" (1939) that she got a chance to get better parts. In most of her movies, she was cast as the hard, but sympathetic woman from the wrong side of the tracks. In "The Sea Wolf" (1941) and "High Sierra" (1941), she played the part magnificently. It has been said that no one could do hard-luck dames the way Lupino could do them. She played tough, knowing characters who held their own against some of the biggest leading men of the day - Humphrey Bogart, Ronald Colman, John Garfield and Edward G. Robinson. She made a handful of films during the forties playing different characters ranging from "Pillow to Post" (1945), where she played a traveling saleswoman to the tough nightclub singer in "The Man I Love" (1947). But good roles for women were hard to get and there were many young actresses and established stars competing for those roles. 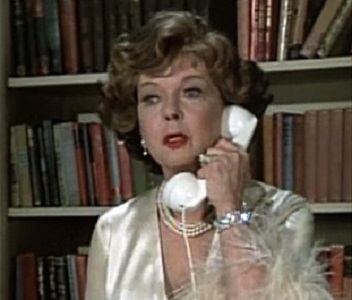 She left Warner Brothers in 1947 and became a freelance actress. When better roles did not materialize, Ida stepped behind the camera as a director, writer and producer. Her first directing job came when director Elmer Clifton fell ill on a script that she co-wrote "Not Wanted" (1949). Ida had joked that as an actress, she was the poor man's Bette Davis. Now, she said that as a director, she became the poor man's Don Siegel. The films that she wrote, or directed, or appeared in during the fifties were mostly inexpensive melodramas. 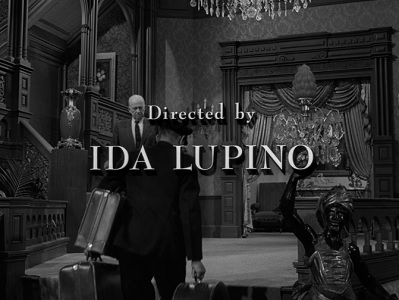 She later turned to Television where she directed episodes in shows such as 'The Untouchables' (1959) and 'The Fugitive' (1963). In the seventies, she did guest appearances on various television show and small parts in a few movies. Usually when marking someone's centennial, I like to honor them with a reason to induct them into the Television Crossover Hall of Fame; give them my own form of "immortality". 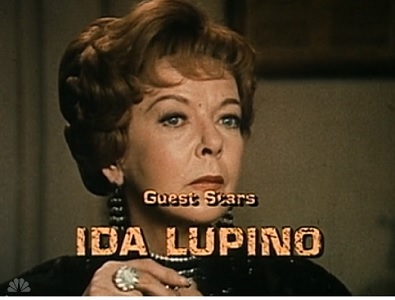 Unfortunately, I had no way to achieve that with Ms. Lupino, either for her characters or for herself. So instead, I've put together one of my Super Six Lists to honor her instead, looking at "six" of her characters - some who added a bit of oomph to the mythos of Toobworld. I've chosen only from those TV characters of hers whom I've actually seen, and I figured I'd go from least to most important women she played when it comes to the overall Television Universe. "WHAT'S IN IT FOR MIA?" It was refreshing to see a con woman on this show who couldn't count on her looks to get what she wanted in a scam (although I'm sure it worked fine for her back in the 1830s.) 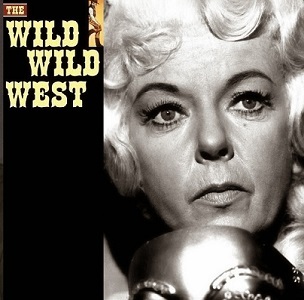 Mia Bronson was a tough old broad in the wild, wild West who gave as good as she got. 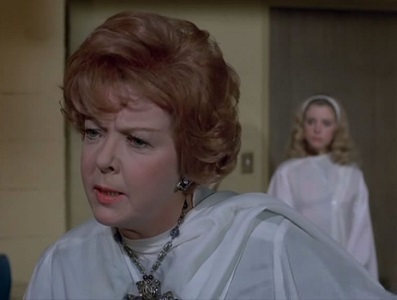 I'm not making any theories of "relateeveety" to connect Ms. Bronson to any other characters on this list who were played by Ida Lupino. Mia Bronson is to be found in the alternate dimension of Toobworld2, the Land o' Remakes, where Hannibal Heyes, AKA Joshua Smith, looked totally different. (The divergence occurs when Mr. & Mrs. Heyes chose a baby from the orphanage. In Earth Prime-Time, the chosen boy grew up to look like actor Pete Duel; he looked like Roger Davis in Toobworld2.) It is unknown whether the lives of either Hannibal mirrored exactly that of his doppelganger. So I don't know if Mia Bronson ever crossed the paths of Smith and Jones in the main Toobworld. Pressured to give up his birthright, a chemical company heir enacts a clever plan to get rid of his blackmailing uncle and take over the family business. But Lt. Columbo suspects the man's death was not just a tragic accident. Doris Stamford Buckner was the wife of the murder victim and the aunt of the murderer. A gospel singer wants to be rid of his zealous wife. 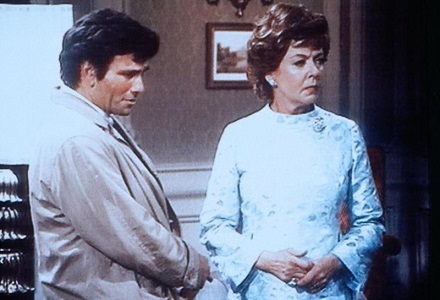 But a murder made to look like an airplane accident does not fool the wily Lt. Columbo. Edna Brown was the murder victim, along with the girl whom she was using to keep her husband tied to her missionary crusade. 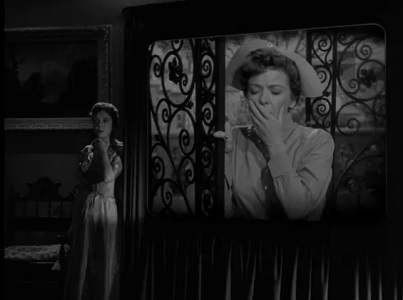 I wish I could have placed Mrs. Buckner and Mrs. Brown higher on my list of Ida Lupino characters. 'Columbo' is one of my top five favorite shows. But there's not much to offer the greater good ("The greater good....") of Toobworld from them. 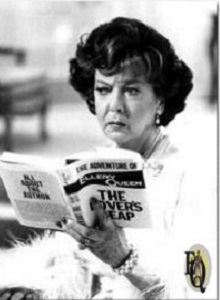 It's even hard to make a theory of relateeveety - Doris Buckner was born and raised in the Los Angeles area, while Edna Baskett was from Nashville before she met Tommy Brown. At best they could be "identical cousins". 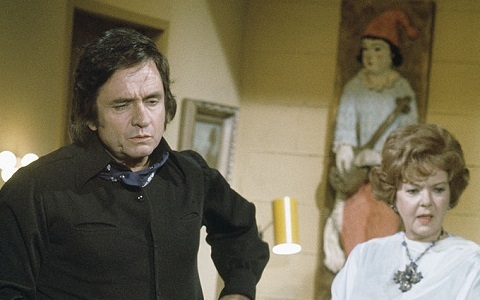 The only other Toobworld connection I can think of is that Edna Brown is buried in the same cemetery as Rayna Jaymes in 'Nashville'. 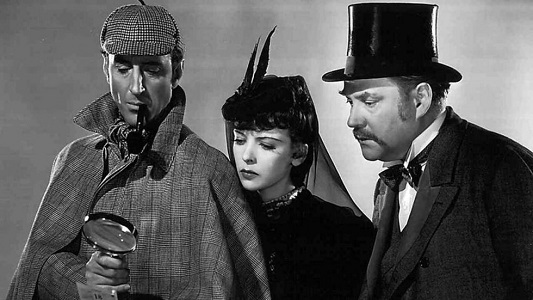 "THE ADVENTURE OF THE LOVER'S LEAP"
When an heiress is found dead from an apparent suicide, Ellery Queen suspects she was murdered, but the investigation is hindered by interference from radio detective Simon Brimmer. Stephanie Kendrick, a wealthy fountain pen heiress, is found dead on the front lawn of her mansion. Prior to her death she was reading Ellery's book "The Adventure of the Lover's Leap" and it seems that she acted out a passage in the book which leads to her to jump from her bedroom balcony. Inspector Queen thinks her death is suicide, but Ellery seems to have other thoughts when a technical print man finds a small shard of glass on the balcony. Later, during the questioning of suspects, Simon Brimmer arrives at the Kendrick mansion and, in his typical pompous fashion, offers his help to Inspector Queen solve what he concludes to be a murder. Ultimately, Brimmer brings the cast together at the conclusion to disclose the guilty party, but Ellery finds the exact time to speak up and reveal the killer's identity. 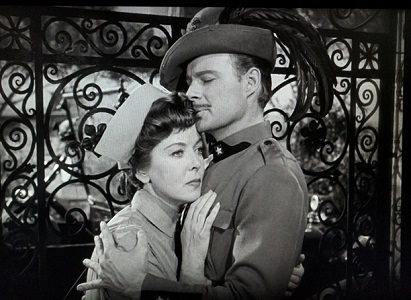 Ida Lupino and Howard Duff cameo at the end of the episode to set up their appearance as Dr. Casandra and Cabala in the next episode. Dr. Cassandra has a grand scheme against Gotham City with her invisibility pills merely the beginning of her tricks. In this penultimate Bat-adventure, Dr. Cassandra releases six Arch-Criminals from Gotham State prison: The Riddler, The Penguin, The Joker, Catwoman, King Tut and Egghead. However none of them are played by the usual guest actors. For one thing it would be too expensive to feature them all at the same time. Note that their faces are never clearly seen, they have no lines (other than the Riddler's giggle and Penguin's squawk reused from earlier appearances) and Catwoman resembles the Julie Newmar version instead of season three's Eartha Kitt. 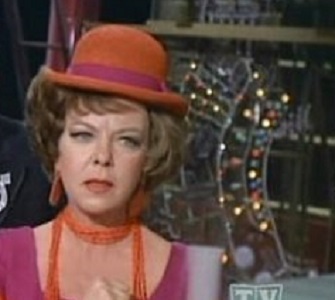 Dr. Cassandra was a villainess and enemy of Batman in the 'Batman' 1960s TV Series. 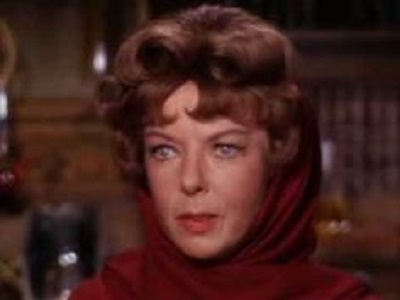 She was portrayed by Ida Lupino. Cassandra Spellcraft came from a long line of failed female alchemists, right back to her great-grandmother. She was determined to do what her fore-mothers couldn't, and become a success in alchemy. But she ended up following in their footsteps quite neatly, outsmarted by Batman. 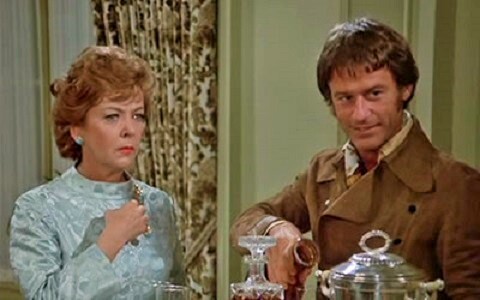 So the campy phenom was on life-support by this point, although this episode is not as bad as when my teenage crush Barbara Rush appeared as Nora Clavicle. Still, it provided trivia which enhances Toobworld: her invisibility pills, the Alvino Ray Gun, the Mope Diamond, and one last look at the greatest villains from this show... even though they weren't played by the original actors. 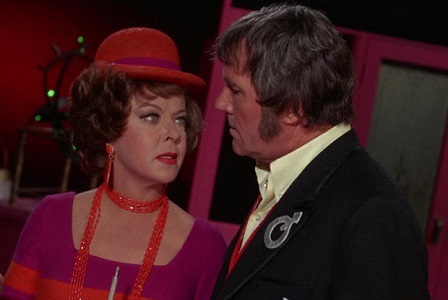 And it was fun to see Ms. Lupino with her husband of 33 years, Howard Duff. "THE NIGHT OF THE BIG BLAST"
Dr. Faustina and her mute servant, Miklos, have transformed a corpse into a duplicate image of Jim West. When they bring the corpse back to life, Faustina's plot is to have West look-alike gain entry to a meeting of the President's cabinet to kill four of the members. I don't think Dr. Faustina was that grandmother mentioned in the 'Batman' wiki who met a grisly end. I think she was Cassandra's paternal grandmother. How Dr. Faustina was able to bring the dead back to life wasn't revealed in the episode. In Toobworld, however, we have an answer - Dr. Faustina was of the Frankenstein bloodline and she was carrying on her family's tradition. This is just conjecture, but I believe she brought a gigantic corpse back to life as a gift to a lover, Dr. Miguelito Loveless who named it "Voltaire" as a joke based on the role electricity played in its resuscitation. Barbara Jean Trenton is a faded film star who lives in the past by constantly re-watching her old movies instead of moving on with her life, so her associates try to lure her out of her self-imposed isolation. 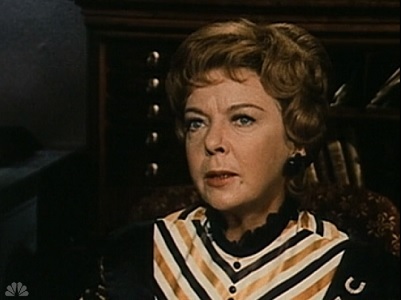 Barbara Jean Trenton is probably Ms. Lupino's greatest character contribution to Toobworld, and that's without taking into account what she offers to the world of the Toob. It is certainly the role that will be seen the most, as long as there are 'Twilight Zone' marathons for New Year's Eve and the Fourth of July. A faded actress lost in the memories of her glory days, Barbara Jean Trenton eventually - literally - gets lost in that world of the movies. For Toobworld, she crossed the dimensional vortex into the "Cineverse". Like Toobworld, it is one of many meta-fictional universes created from the gestalt of Mankind's imagination and made real. "The Sixteen Millimeter Shrine" is one T-Zone episode which I think deserved a sequel. In her new world, Barbara would be just one of many women who looked exactly like her. She would look like all the living movie characters whom she portrayed in her "real" world (Toobworld to us.) And it wouldn't be Jerry Hearnden whom she would find over there, but instead the characters he had played. It might have proven far too much for the actress to handle. All of those movie characters she played, just as it is for Toobworld characters for us, would have lives that extended beyond the display of "The End" after the credits rolled. So many of Barbara's roles in period films might have died off already, or withered and aged even more than she had done. And what of those roles where she played bad girls? One of them might not have appreciated an interloper who looked exactly like her. Maybe she wanted to escape to the "real" world in Barbara's stead. I think there's a story there. Here's to the memory of Ida Lupino, and the many stories she directed, and characters she portrayed, all serving to expand Toobworld. Currently I'm writing up a blog post for the Classic TV Blog Association's blogathon celebrating Classic TV vilains. My topic as those who know me might have suspected, comes from 'Doctor Who'. (Yeah, I know who my favorite TV character is, but he was taken. LOL) I'm writing about the Monk, a Gallifreyan Time Lord who delighted in interfering with the established order of Earth's history, more out of mischief and boredom than for any evil ends. The Monk was played by Peter Butterworth, known for the "Carry On" films. And during my research I discovered that today marks the 99th anniversary of his birth! Since this is also Video Sunday, I thought I might celebrate the occasion with several YouTube videos in which he is featured.